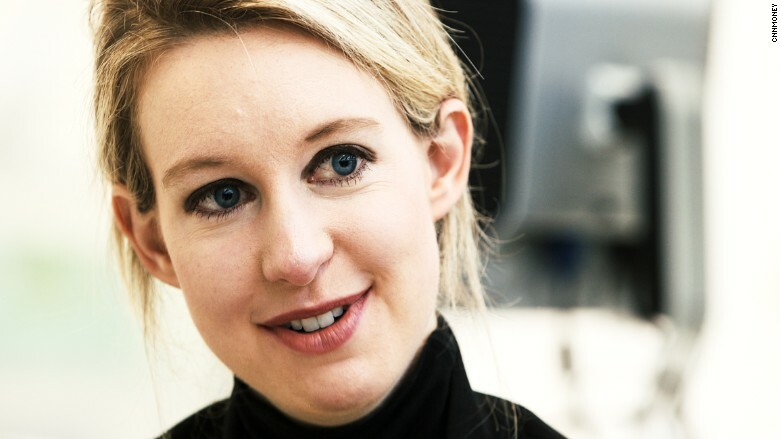 Founder Elizabeth Holmes and her company Theranos have been under close watch in recent months. Walgreens said Thursday that it will stop using the Theranos lab in Newark, California to analyze blood tests. The news comes one day after the Centers for Medicare & Medicaid Services called the lab's practices "deficient." The agency called for the startup to take immediate corrective action. In reaction to the findings by CMS, Walgreens said Theranos can no longer send clinical lab tests taken at the Theranos Wellness Centers, which are located in some Walgreens stores, to the Theranos Newark lab for analysis. Walgreens is Theranos' big retail partner: It has more than 40 Theranos Wellness Centers in its stores. But it's not clear how much of an impact dropping the Newark lab will have, since Theranos said that it processes 90% of its tests in its Arizona lab. Walgreens (WBA) also said it will no longer offer Theranos lab tests to consumers at the Wellness Center based in Palo Alto. All of these changes are effective until the issues that CMS raised are resolved, said Walgreens in a statement. Theranos bills itself as a cheaper, more efficient alternative for traditional medical tests. It is valued at more than $9 billion, and has been praised as a classic industry disruptor. In October, a scathing report in the Wall Street Journal called much of its technology and testing methods into question. Brooke Buchanan, vice president of communications at Theranos, said in an email statement that Walgreens is "temporarily ceasing the use of its Newark lab until CMS findings are resolved." "This is an issue that many other labs have faced, and we will fix it quickly and completely, working with our regulators as we always do."